Enjoy a free full cooked breakfast each morning! Start your day with a delicious meal consisting of locally sourced foods that will provide you with the fuel you need for a day full of activities and relaxing. You will never be bored during your stay at the Eratap Beach Resort with daily resort activities run by activities staff! Enjoy complimentary use of motorised boats with a driver, kayaks, snorkelling & surf equipment! Head over to the resort’s island, named Castaway Island on an included boat transfer! Then each evening, entertainment is also found in the restaurant 3 nights a week! 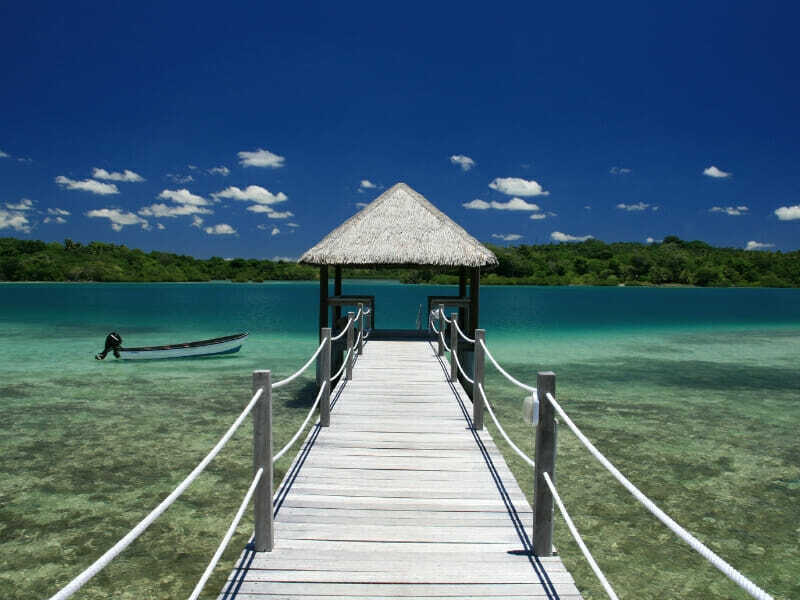 Spend more time enjoying the beauty of Vanuatu and less worrying about organising shuttle transfers every day! 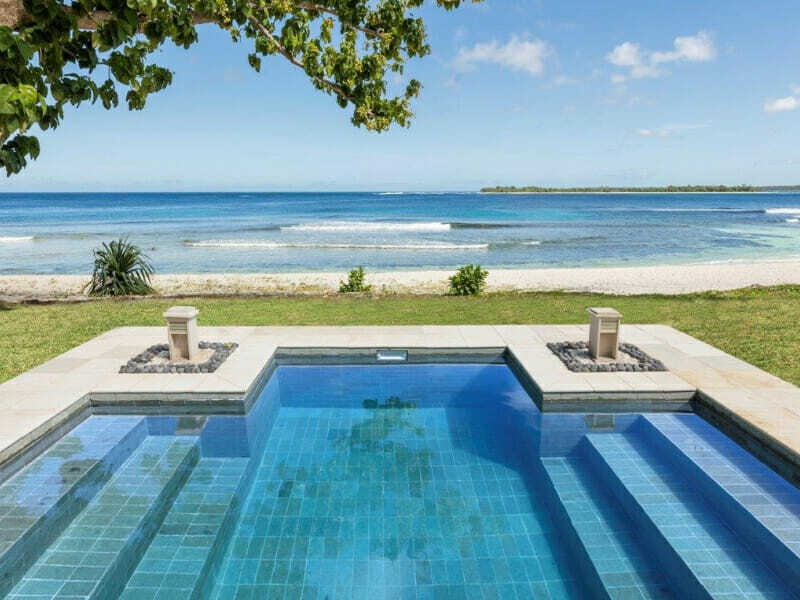 When selecting this My Vanuatu package, you will avoid that stress by being able to get to and from Port Vila with a shuttle service. Need to stay connected while enjoying your holiday? 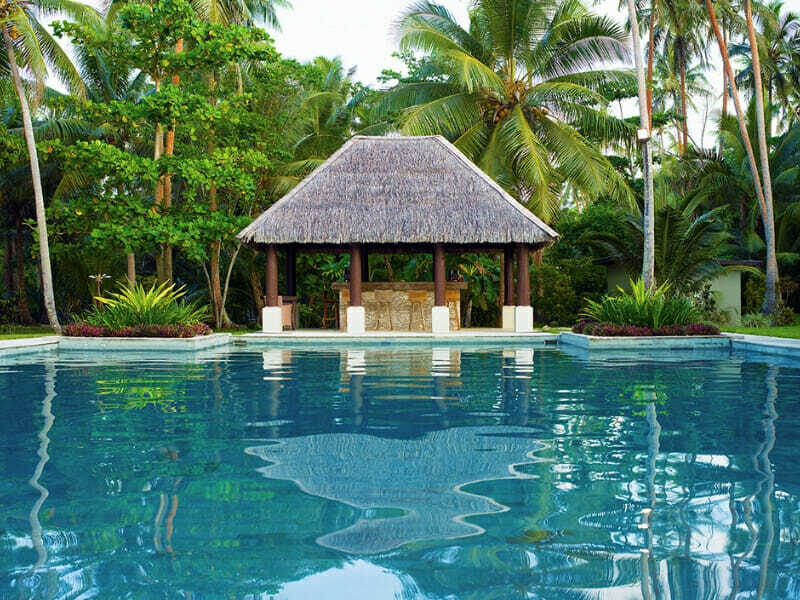 With this exclusive My Vanuatu package that is possible! Enjoy free WiFi during your stay. Keep in touch with home, upload all of your holiday snaps and be the envy of your friends! You will also enjoy use of cable TV & in-house movies! 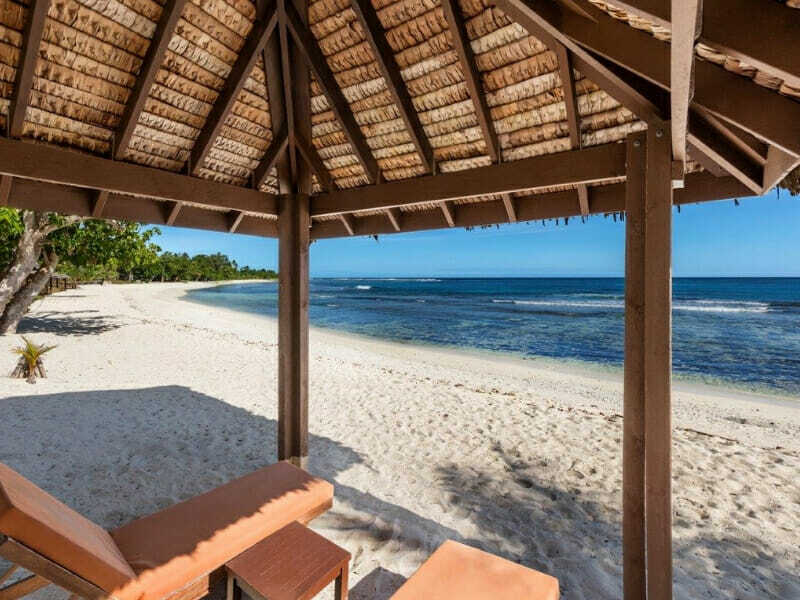 Wake up in paradise every morning of your stay when you check-in to a luxurious 1 Bedroom Beachfront Villa. Boasting an incredible 70sq. 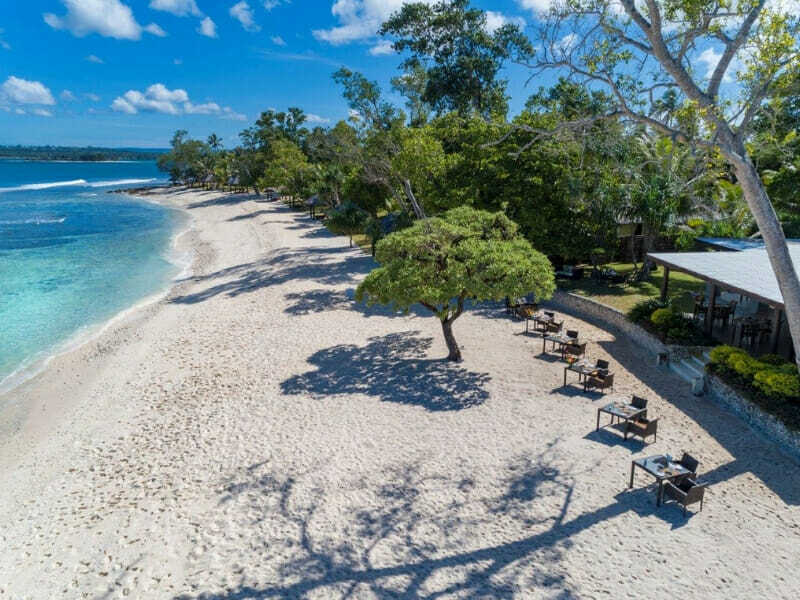 metres, separate living and sleeping areas and private decks that offer uninterrupted ocean views, these incredible villas are ideal for couples or singles looking for a healthy dose of tranquil waterfront living! 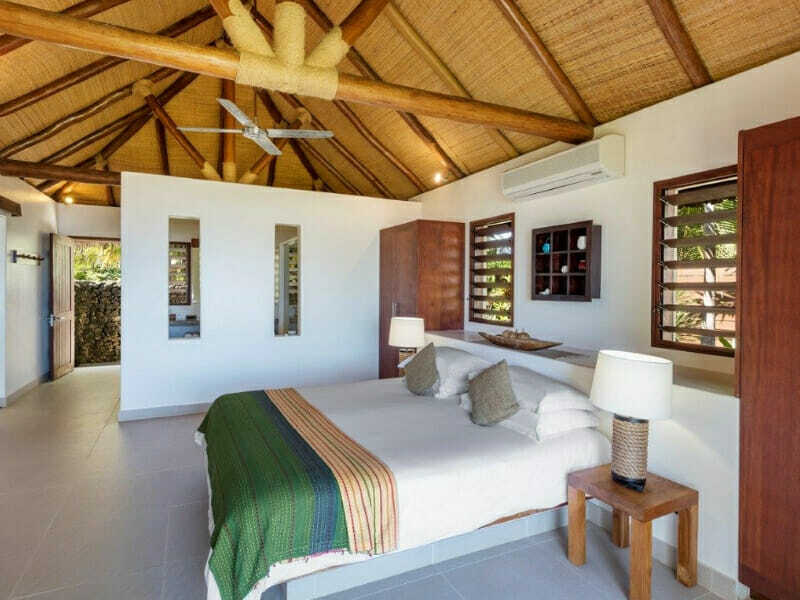 1 Bedroom Beachfront Villas feature an impressive master bedroom complete with deluxe King bed, air-conditioning and two sets of French doors which open out onto a private deck. There’s also an en-suite bathroom with deep soaking tub and separate shower, plus a courtyard shower outside if you’re after a more tropical feel. The living area has lounge chairs, a bar fridge, tea and coffee facilities, a TV, DVD player, Wi-Fi and another deck. 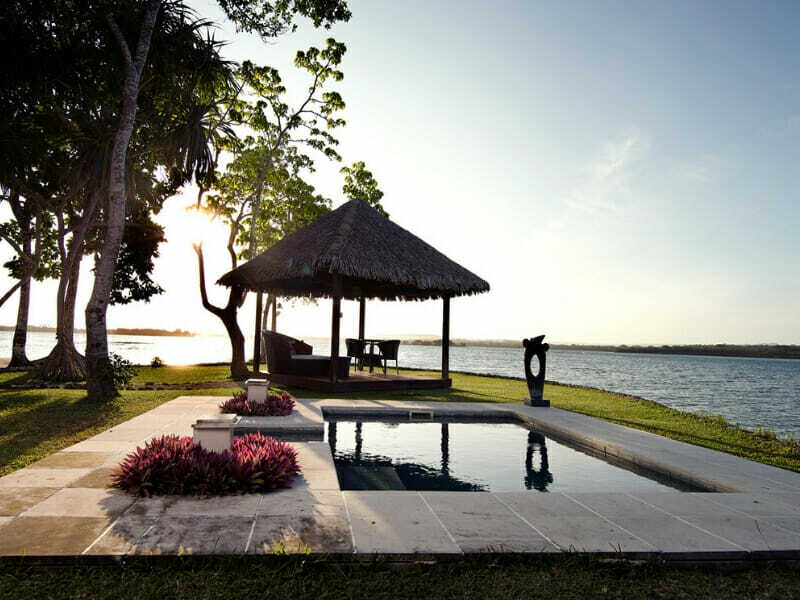 With a thatched roof and furnishings inspired by the surrounding environment, you’ll be feeling the island vibes in no time! These rooms can accommodate up to 2 guests. 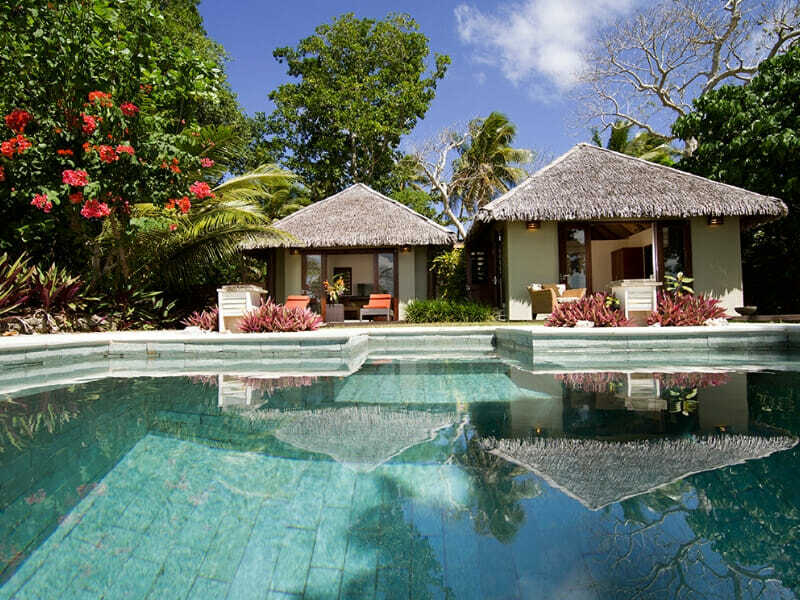 2 Bedroom Beachfront Villa with Pool – UPGRADE from only $500 per person! 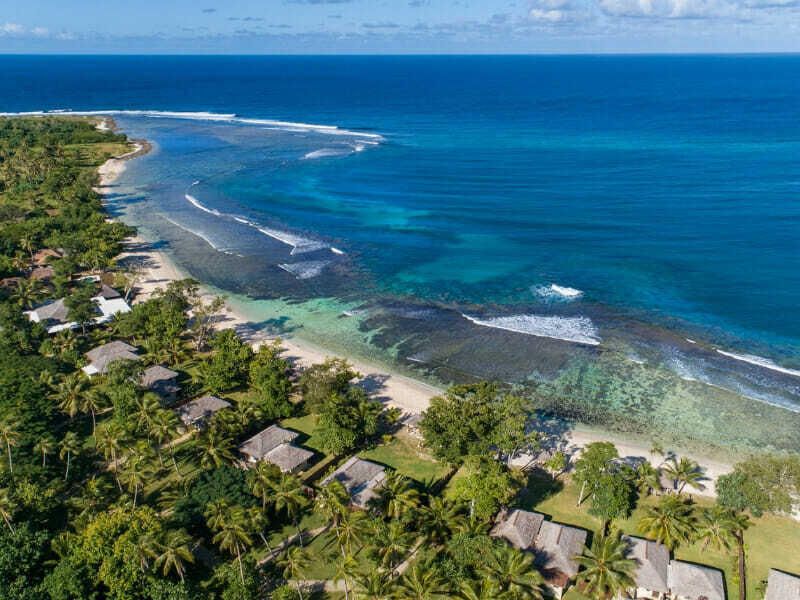 Set on the beachfront and surrounded by lush tropical vegetation, Eratap Beach Resort is the true depiction of Pacific paradise. 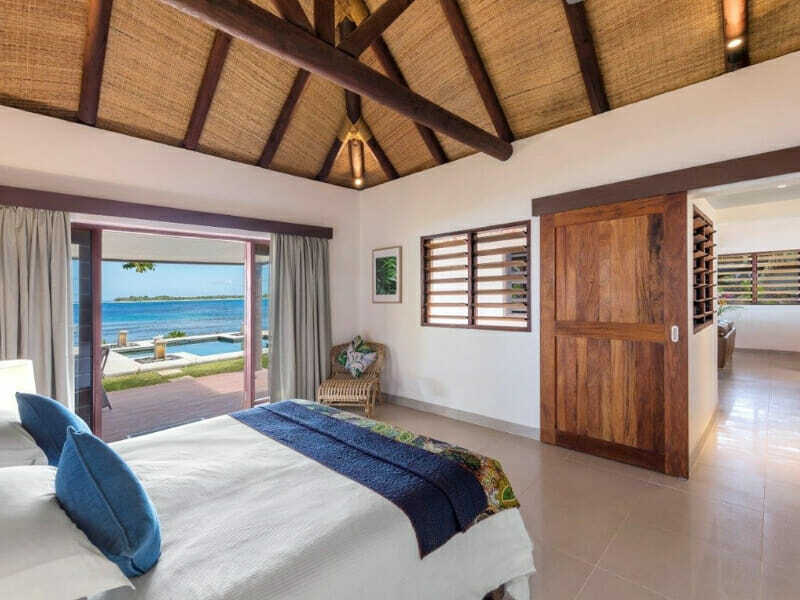 Wake each day to absolute waterfront views, spend your days snorkeling, kayaking, biking, hiking and more, or simply wine, dine and indulge in the spa. 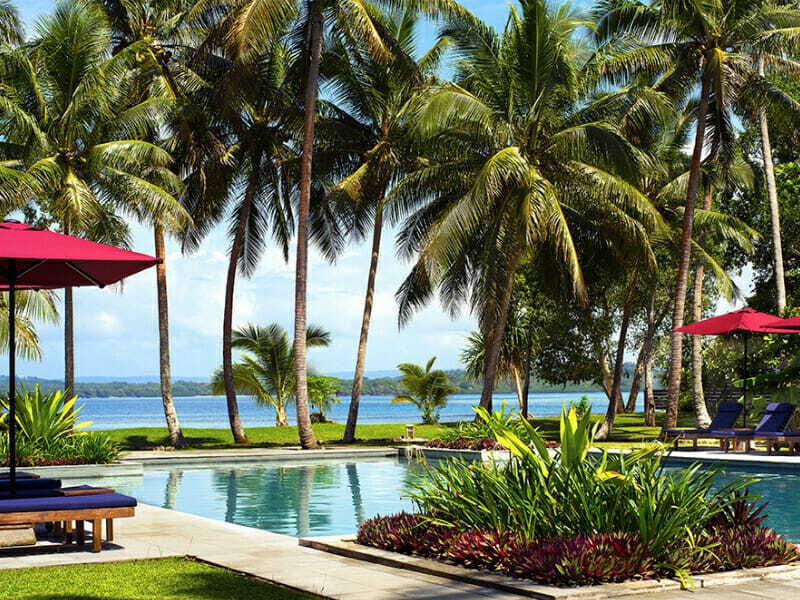 Guest numbers are limited at Eratap Beach Resort, meaning that you’ll always receive the VIP treatment. Escape the hustle and bustle of the outside world and simply learn how to relax here! 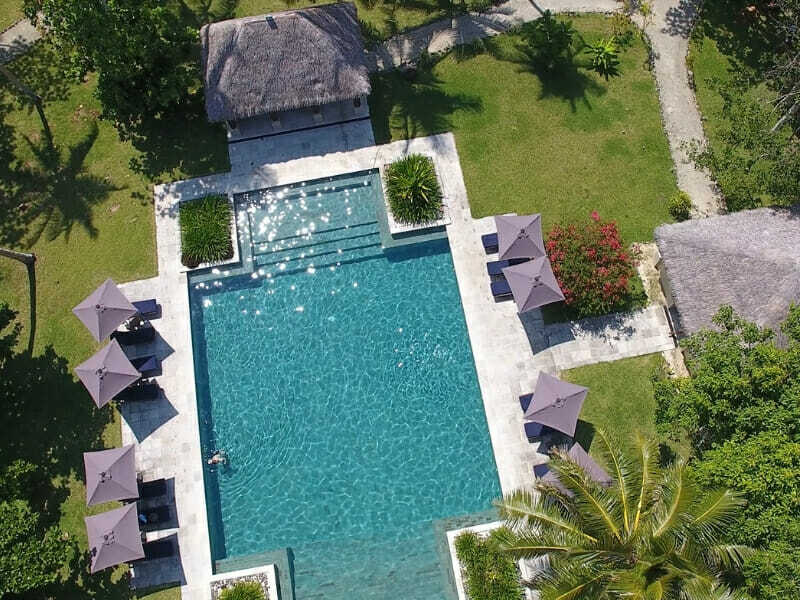 Read more about Eratap Beach Resort here! Accomodation: Eratap Beach Resort specifically caters for children during the High Season weeks listed below. Outside these dates children Under 15 are not permitted at the resort. The resort does not take children under 7 years old year round.